Considerable effort can go into preparing a Paper contribution for the CHI conference. No one wants to see this effort go to waste, especially if it involves a potentially valuable contribution that could bring credit to authors and fresh insights to readers. However, CHI is very popular as a place to present work, and this inevitably means that a large proportion of submissions – typically 75 percent – get rejected. For authors, this means taking special care to submit your work in a manner that guarantees the best chance of gaining acceptance. This guide has been prepared to help you. Like most high-profile conferences, CHI relies on a panel of reviewers to assist the selection of contributions. Your submission will be subjected to thorough reviewing by three or more experts in the relevant field. The process by which these reviewers are selected, and by which their assessments then influence the final decision, has been reworked and refined over the years in order to ensure that submissions are treated as fairly as possible. The more you understand about the review process, the better equipped you will be to make a strong case for your work. Therefore, you should familiarise yourself with the Papers Review Process and the Guide to Reviewing Papers. Papers are reviewed by subcommittees that each focus on a subset of topics in Human Computer Interaction. As an author, you decide which subcommittee best matches the contribution of your research. See Selecting a Subcommittee for additional details. Here is a brief overview of the form used by reviewers to submit their reviews of your contribution. You may have been asked to review submissions for CHI, in which case you will need to become very familiar with this form! That’s not why we describe it here, however. Rather, we suggest that familiarity with the questions on the review form will help you to decide what to include or emphasise in your submission. Relevant previous work: is prior work adequately reviewed? Reviewers can also add further comments that they want you or the Program Committee to see. But the author’s main goal should be a strong, clear contribution to HCI. If you do this, your submission should get a high rating. Your submission’s reviewers will be asked to focus on the significance of the submission’s contribution, the benefit others can gain from its results, the validity of the work, and its originality. Of these, the contribution and its significance are the most important. 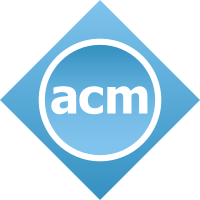 CHI Papers are expected to offer contributions that clearly and significantly advance the field of HCI. Your contribution should offer CHI attendees, and readers of the proceedings, something that adds to what they could have learned from existing publications. HCI is a very broad field, and it opens up a correspondingly broad range of possible contribution types. This list is not exhaustive, but it encompasses many past CHI research contributions. This contribution should be made clear in the abstract as well as the submission itself, outlining its direct significance to the field of HCI. If you are in a position to make a contribution to HCI, there will be people who stand to benefit from it. For example, if you are presenting a new interaction technique for small screens, it will be of potential use to people involved in developing handheld computers. A case study describing how you developed a new interactive product will probably catch the eye of HCI educators looking for teaching materials. The benefit to be gained from your contribution will be one consideration that reviewers take into account. As you write your submission, therefore, keep in mind the kinds of people you think might benefit from reading it. Think also about how this might happen – what kinds of problems might readers be facing to which your contribution could provide the solution? Try to make sure that the submission explains the contribution in sufficient detail for the full benefit to be extracted. Ask yourself: if I’m a researcher or practitioner working in this space, why should I read this paper? If your paper is accepted, you will need to provide with your submission a 30-word statement of contribution and benefit. This statement is not part of your submission, but is included in the final program to help the audience decide what papers to attend. We suggest it may be useful to draft this statement before you begin writing your submission, to help keep the contribution and benefit in sharp focus. The validity of your submission’s contribution must be adequately supported by appropriate arguments, analyses, evaluations, or data as best fit the contribution type. Otherwise readers will find it hard to judge whether they can confidently take up your ideas, and thus gain the benefits you are claiming to offer. Reviewers are therefore asked to assess the validity of the results you are presenting. Demonstrating validity is one of the most challenging aspects of writing CHI Papers. Reviewers often cite problems with validity as the reason to reject a submission. For this reason it is risky to leave validity issues (for example, evaluating a design) until the last minute. Instead you should consider, when planning the work and certainly before embarking on the submission, how you will demonstrate your contribution’s validity. Your choice of how to demonstrate validity will depend on what kind of contribution you’re offering, and suggestions for how to do this are listed in the contribution type page. No matter what method you chose to show validity, you should let the reader/reviewer know why that method is appropriate for your situation. A guiding principle here is to consider the benefits that lie in your contribution, and confirm to your own satisfaction and your colleagues’ that these benefits are really there. Again, the steps you take depend on the contribution type. For example, if you are providing an incremental improvement to a well-known technique, such as a new or refined type of menu capable of reducing errors in selecting menu items, you will probably run a careful and convincing experiment to measure error rates with this and other types of menu. If you have come up with a system to support a new way of collaborative writing, you may try to evaluate it in real-world conditions, offering it to a group of co-authors for use in a joint writing task, and conducting studies to determine how the system helps them – and what problems it introduces. If you have developed a new design or evaluation methodology, you may compare with other methodologies, or you may want to report on your experiences in using it. If you are developing a theory that contributes principles, concepts, or models on which work in HCI might be based, you will probably what to argue or demonstrate the value of that theory, e.g., by using it to describe, analyse, predict and/or influence HCI applications or settings. If you are contributing systems, tools, architectures or infrastructure, you will want to demonstrate how it makes systems authoring, development and/or use better, more efficient, and/or more expressive. Any evaluations like these, conducted to convince yourself that you’ve got something of benefit to the HCI community, can appropriately be adopted and extended to convince your reviewers and readers. Bear in mind that reviewers of Papers submissions often mention issues of an obvious or important nature that have not been addressed by the authors. They often criticise authors for conducting studies without adequate theoretical basis, or for not providing enough evidence or sound reasoning for claims. A further concern is lack of justification for design choices and not explaining why certain design features have been included. In summary, you should explain not only what you did, but also why you did it, so that readers (including reviewers) can be convinced that you made appropriate choices. Explaining your choices can also stimulate more research by helping others see alternative approaches. Originality in your submission will help it get accepted in two ways. First, it is not just helpful but essential that the submission’s contribution be original, going beyond any work already reported in other journals or conference proceedings. Second, reviewers will often give credit for original approaches adopted in conducting the work, particularly if these contributed strongly to the work’s success. To demonstrate the originality of your contribution you should make sure to cite prior work (including your own) in the relevant area. If possible, explain the limitations in this work that your contribution has overcome. Make sure also to cite publications that have had a major influence on your own work. Lack of references to prior work is a frequent cause for complaint – and low rating – by reviewers. At the same time, long lists of reference does not show engagement with previous scholarship. As a rule of thumb, citations should be well integrated with the narrative of the paper. Note that reviewers are being asked to set the context for their review by identifying relevant past work; you can help them do this. You can also make it easier for them to check your references by concentrating on papers in easy-to-find publications. Allow adequate time for this part of your submission’s preparation. As regards originality in conducting your work, remember that acceptance of your submission doesn’t depend on this. If the submission’s contribution is a strong one, it should gain acceptance however you arrived at it. However, reviewers do appreciate novelty and elegance in conducting the work, particularly if they can see how it simplified the work, or could help others conduct work of a similar kind, or both. Thus they will probably give credit for an original way of collecting data during a study, or of choosing a means of evaluating a design, or of overcoming a weakness found in a new design. A few examples of such originality in your work will probably strengthen your submission; however, a plethora of them could drown out the central contribution. CHI Papers are expected to include enough detail to allow researchers or practitioners to replicate both core technology and experimental methods. This doesn’t mean that it needs to be easy for others to replicate your work; compelling studies often require access to unique user populations, and compelling technology may require rare or expensive hardware. But readers should understand how they would reproduce your work. In particular, algorithms or analysis should be described with significant detail. Wherever possible, it’s fine to save space by referring the reader to prior work for particular steps in your analysis, so long as the overall approach remains readable. Pseudocode is extremely helpful where algorithmic contributions are involved. Replicability is often a great area for “beta-testing” your paper with a colleague or friend. Ask a colleague to read your paper and list back the important steps you used in data collection and analysis. Did he or she leave any steps out? If so, you may need to add more detail or appropriate references. Submissions will be criticised if their contributions cannot be replicated; letting others build on your work is the entire purpose of a CHI Paper. Try to write clearly and concisely, avoid jargon, organise the submission to flow logically and smoothly, provide the right level of detail, and make good use of figures to support the text. You might be surprised at the number of reviewer complaints about written presentation. Describing your work involves not only writing good prose, but also providing a good structure that helps the reader follow the explanation. The text should be supported with figures and tables where appropriate; these should be clear and easy to understand. Papers may use colour figures, but they should be usable when printed in black and white. Although all presentations at CHI are made in English, CHI is a conference with an international audience – and an international panel of reviewers. Submissions must be written in a language that effectively communicates across national and cultural boundaries. When authors are not native speakers of English, reviewers try to assess the quality of the work independent of language issues, but good English always helps. If you are not a native English speaker but have access to those who are, it is a good idea to ask them to proof-read your submission before you submit it. Professional proofreading services are available as well: if you are a non-native speaker, consider that the cost of a proofreader is likely vanishingly small compared to the cost of the time you and your colleagues have put into your work. Even if your first language is English, keep in mind that non-native English speakers will be reading and reviewing the submission. Avoid long, complex sentences, and avoid regional colloquialisms, jokes, or puns that could be difficult for someone outside your culture to understand. Remember that unlike journal papers, CHI Papers are reviewed mostly on an ‘as-is’ basis. While your paper may be accepted conditionally upon making changes, the allowable changes at this stage tend to be minor. This is unavoidable given the tight schedule of the reviewing process: there is no time for a second review after the author has made changes, so reviewers must make a decision whether the submission in its current form is acceptable for CHI. With its large number of submissions, CHI’s review process is bound to be highly competitive. The intent of the review process is to provide the conference with a program of submissions offering significant contributions of high potential benefit to attendees and readers. Writing such a submission for CHI is a lot of work, but it is rewarded with the visibility and influence that only high-profile publications like the CHI Proceedings can offer. We hope this document has helped give you some clear and concrete guidance on how to write a successful CHI submission. Best wishes, and we look forward to seeing your successful submissions at CHI 2019 in Glasgow!